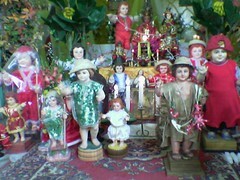 Is this your collection of Sto.Niño’s? Ganda ha! even if i don’t know you..
=) i don’t really care..